Join us for Resolution Reboot Camp! 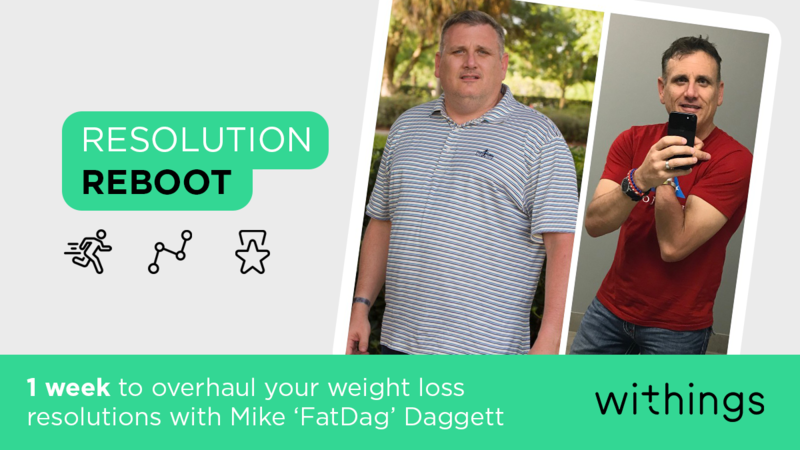 Together with Mike "FatDag" Daggett—husband, father, and United States airman—we'll share Mike's best tips for weight loss success. Time for resolution reboot camp, SIR! By changing his diet and using his Withings smart scale, @FatDag of @WhysAdvice dropped almost 90 lbs. in 6 months. Today, watch as he explains how his "why" was so important in keeping him on track. “I used to Drink 12 sodas per day. It was the only liquid I consumed, all day, every day. I knew it wasn’t good for me, but I hated the taste of water. On New Year’s eve 2015, I decided to see if I could go one week without a single soda. At the end of the first week, I was proud of the accomplishment and decided to try one more week. That was 4 years ago and I haven’t had a drop since. I never intended to stop for life, but checking off smaller goals kept me feeling in control. Accomplishing small goals does lead to big results! 1/ Set Attendance Goals – The key to changing your life is to change your habits. The things that you do routinely, determine your outcome. In order to build new habits, you must start small. 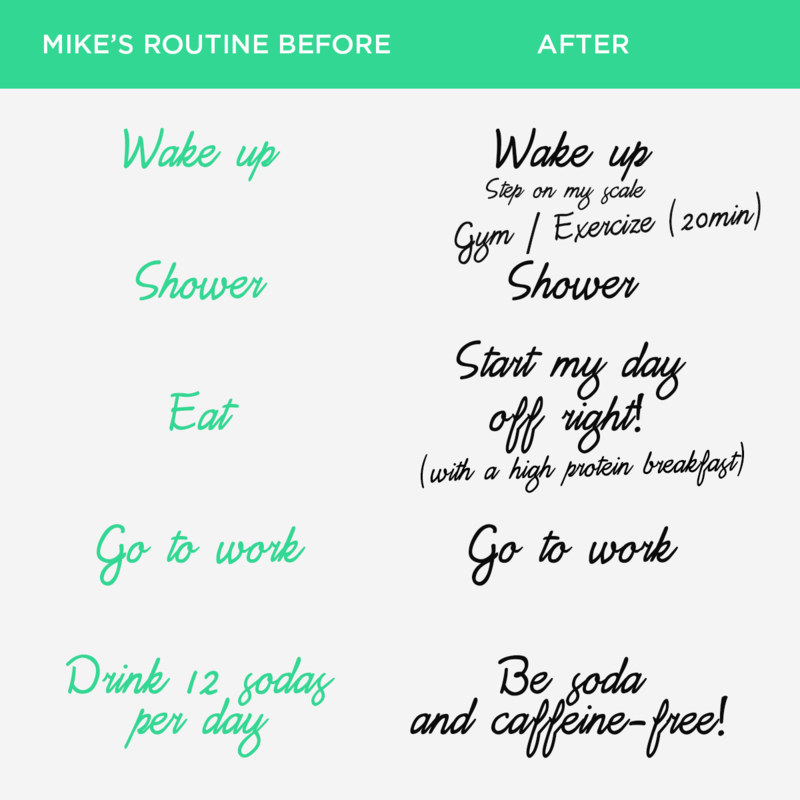 Rather than trying to complete a very intense workout, work on building the habits to do something daily. A 1-2 minute daily plank starts to build the habit of daily exercise. Before you know it, you’ll be ready to increase the effort into performance goals. 2/ Negotiate a contract with your future self. We all work hard to honor contracts, so why not leverage that mindset with your future self? Outline your future responsibilities by detailing the tasks that need to be done and the frequency of which to do them. Make the commitment in writing and sign/countersign the agreement. When you find yourself making decisions about working out or eating, ask yourself if those choices honor the contract, or will you be in violation of a potential breach of contract. 3/ Seek the support of successful people. There is no need to attempt this all alone. It’s true that the more you’re around successful people, the more you will work towards having that same level of success. Find like-minded communities to help you stay focused on what results are actually possible. Set up your social media feeds to remind you what success looks like. Once you have seen first-hand that what you’re trying to accomplish has already been done, it removes doubt from the equation. With doubt set aside your mind is free to focus on building healthy habits and honoring the personal commitment you’ve made to yourself. Feel free to share your experience and let us know how you’re doing on our Facebook and Twitter social channels, using the hashtag #ResolutionReboot.